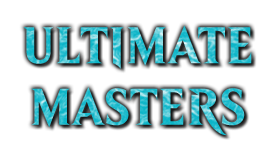 Ultimate Masters released this weekend, and the discussion of its financial viability has gone largely unsettled. Views seem to still be polarized on the topic, and I thus wanted to take an unbiased look at the set. Ultimate Masters has the highest price tag of any pack and booster box to date, so it is critical to know the set's viability before investing. As always, I'm a fan of raw data and direct pricing information, so my review will be based solely on the math and financial data the set has. The takeaways are fairly straight forward, but I feel it's also important to discuss how we get there. If you understand how we arrive at the result, you know you can trust the result. As such, this article might be a bit long-winded at times, but information is power, and we're talking about massive investments that aren't to be taken lightly. I'm not a fan of fluff or suspense when we're talking numbers and finance, so let's jump right to UMA's financial table. Of quick note, I have broken the set down differently from our weekly tables to illustrate some of the important values we'll be touching on later. Card pricing is from 12/07 and is again based on TCGPlayer's Market Price, with the exception of pack foils, which are based on lowest listing prices across multiple sources (I'll go into this more below). 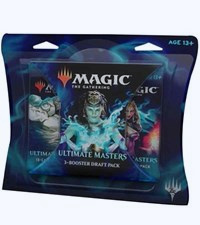 Ultimate Masters also has three-pack bundles, but these should be viewed the same as buying individual packs. 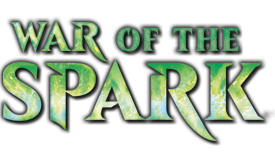 Before we dive into the heart of the set's finances, I feel it's very important to talk about the difference between buying packs and buying boxes. This has come up several times in the past, especially for Masters sets, and I wanted to make sure anyone not familiar with the differences understands them for this set. Ultimate Masters has the highest price tag of any set released, and it's thus infinitely more important to grasp the disparity between packs and boxes. If you're already familiar with the concept, please feel free to skip to the next section. Let's cut to the chase, if you're looking at buying a few Ultimate Masters packs in the hopes of making a profit: don't. Real profit in card turnover only ever comes from buying boxes. Individual packs will never offer a profitable return in the long run, and are at best one-shot lottery tickets. Sure, there's a chance the $15 pack you see on the shelf has that $50 Goyf that you want, but the odds are very much against you. The odds actually say the cards in that one pack probably won't even be worth half of what you paid for them. The easiest way to illustrate this difference is by comparing a pack's average value and a pack's median value. Right now, an Ultimate Master's pack average value is just over $15. This means that if you bought one hundred packs, the cards you receive within them would normally have about $1,500 in value. However, a pack's median value is only $6.47. This means that if you grabbed just one random pack and cracked it open, it has the highest probability of only having about six and a half dollars worth of cards within it. This difference can confuse those new to the market, but it's an extremely important concept to know. Prices are polarized, with a few cards having massive value, and the bulk of the set having low value. This means that most packs lose money, some offer decent value, and a select few offer truly explosive returns. Those explosive returns are very important, not just because they're profitable, but because they offset the losses that most packs have. This is how the average rises above the median - the really good packs raise your total return enough that the per-pack average is much higher than what most packs actually have. A set's pack average and estimated returns only actually materialize over a large number of packs. The second, more obvious, implication between packs and boxes is the investment cost per pack. The market price for a single Ultimate Masters pack is $12.14, while the market price for a box is $274. With 24 packs per box, that averages to $11.41 per pack when they're bought in bulk. This is a 6% difference, which is very significant when you're looking at profit margins. Businesses rise and fall on smaller margins than that. The Box Toppers from this set further increase the difference, making the comparison completely one sided, which we'll go into later. The conclusion is always direct: if you're even casually looking into the financial aspects of buying and selling Ultimate Masters, it's boxes or nothing. 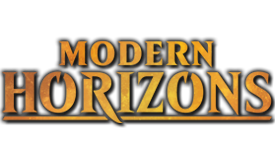 Packs are for players, traders, and novelties. If you want the exhilaration of opening a pack, and the chance for an epic card, go ahead and buy a pack. Buy three. But do it for the cards and the joy of the prospects, and not for trying to make money. 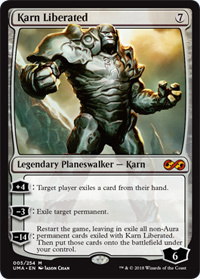 Karn is the top card in the set for now, but my suspicion is that Liliana will eventually overtake him. Ultimate Masters is all about shaking up the norms in a masters set, and the rare slot is no exception. There are a full 20 mythics in Ultimate Masters, five more than normal, and those five cards make a big difference. It means that the rate of mythics to rares has changed, and even small changes are compounded across a box. Normally, rares to mythics have a 1-to-8 ratio, which directly means we get an average of one mythic per eight packs. Due to the higher count of mythics here, however, this has lowered almost to the point of one mythic per six packs (10 in 63 to be exact). This means you should average just shy of four mythics per box, which is a strong increase over a normal value of 24 packs. With a slough of high value mythics, and a greater rate of showing, the rare slot value is higher than one would normally think just looking at the price tables. In total, the rares and mythics have average values of $7.23 and $26.33, respectfully. With exactly two of each rare and one of each mythic on the rare sheet, this gives us an average rare slot value of $10.24. The median value for this slot is only $5.43, so variation between packs is considerable. However, there are fourteen rares and sixteen mythics that break the $10 demarcation line, meaning that at least one in three packs will have a strong rare slot. In a 24 pack box, this is more than enough to offset the variation and recoup losses so that the box approaches pack average. Thus, the rare slot alone adds $245 to a booster box's estimated value, with a good degree of reliability. This is, amazingly, already approaching cost. Predictions for coming deflation are abound, but for now, the rare slot alone comes close to recouping your investment. The takeaway is clear: the rares and mythics of this set are strong and valuable, with a sufficient number of high end cards to offset variation. Every Ultimate Masters pack contains a premium foil. Although the rare slot gets the most attention, the foil slot is not to be underestimated. The numbers here are not as concrete as usual, so let me take a moment to break down how I've arrived at the results. It is a common misconception that foils appear at the same rarity density as normal cards. They, in fact, do not. Standard card sheets are printed in a ratio of 1:3:10, or in laymen's terms: for every rare sheet printed, there are three uncommon sheets printed, as well as ten common sheets. Foil sheets are printed in a much smaller ratio, around 1:2:3. This means that mythics and rares are much more abundant in a pool of foils than a pool of nonfoils. In fact, one in every six foils is a rare or mythic. This abundance is kept in check because foils only appear at a rate of 1 in 6 packs, as well as rares appearing on the rare sheet twice as often as mythics. Thus, we get an average of one foil rare per box, and one foil mythic in ever 8 boxes. Ultimate Masters has one foil in every pack, and because of this, they have changed the foil sheet ratios. If the normal ratio stayed true, we would expect a box to average four rare slot foils, with one of those being a mythic rare foil in every other box. Crowdsourcing the actual rate from friends, colleagues, and videos, it appears the rate of rare slot foils has been halved. Boxes are averaging right at 2 foil rares per box, perhaps just slightly higher, but the sample size is too small to be exact. From what we know thus far, the ratio is around 1:3:8. This is rounding down to exactly 2 foil rare slots per box, but it's a standard rule that anytime there's uncertainty, play it safe and underestimate. For the purpose of calculating foil value, I've used the 1:3:8 sheet ratio. Again, rounding down is the safe, practical call. Additionally, I've cross referenced multiple sources and taken the lowest listing for each foil card's price. Some of these values seem inflated because the sellers haven't yet realized that the high end foils are still more common than in a normal set. Thus, we've taken the lower end twice to ensure that any value we calculate shouldn't be at all inflated from what we actually obtain. This gives us an average value of $3.63 per pack in foils, and adds over $80 to a booster box's estimated value. This is a massive boon to an already strong return, ballooning not only from the higher frequency of foil rares and mythics, but also from the high price tag that many of the commons and uncommons have. 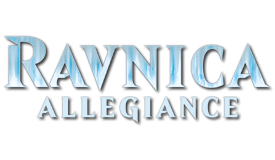 An average box will have approximately $3 in foil commons and $10 in uncommons. This is also sticking to the rule of counting any card less than $0.50 as unsellable. The takeaway is clear: there's a lot of value in the foils in this set, and they are not to be underestimated. The unique styling of the box toppers has given them a premium demand. The box toppers in Ultimate Masters take bonus cards to the next level. The average price for a box topper is $82.42, and even the median is right at $66. If you buy your cards by the box, you're adding a substantial increase to your return, which at this point is absolute pure profit. If you're looking at making a profit, I don't think there's any other acceptable option. A box with the lowest box topper still adds $16 to its return value, and three-quarters of all box toppers exceed $50. Although the marquee cards are out of the way, the lower end of the pack should not be ignored. This is a masters set, and the value of the commons and uncommons have some noteworthy editions. Although there are only a few commons that have meaningful value, commons are abundant enough that they average roughly $9 in value. 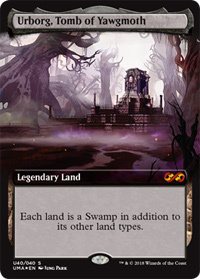 The key common cards to look for are Kodama's Reach, Hyena Umbra, Faithless Looting, Martyr of Sands, and Spider Umbra. Each of these cards break the $0.50 mark. Uncommons are much more generous with their value, adding an average of $23. 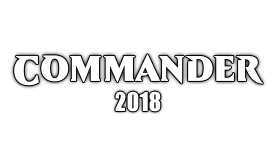 There are eighteen uncommons that break the $0.50 mark, with the best uncommons being Eternal Witness, Kitchen Finks, Chainer's Edict, and Lava Spike. These four are all valued over $2, and should absolutely be turned with the rest of the set. If we add all of the per-pack values up, and multiply it by the box size, we arrive at an average box return of $365. From the average market price of $274 for an Ultimate Masters booster box, this is a profit margin of 33%. To compare this to a normal set, it's a return value of $113 from an $85 box. The numbers are larger, which makes it seem like a massive return, but it's actually right in line with the release of any strong, normal set. Now, if we add to this the box topper value, we're looking at adding between $15 and $250 to our return. The box topper adds a good degree of variation, however, since it's one singular value. As for price dispersion: about half are between $50 and $100, with the other half being split above and below these markers. Although the average is over $80, it would take a great many box openings to realize this average. Instead, the safe call is to add the median price when figuring your expected returns. This adds $66 and puts us right at $430 for our final box total. If you've followed along, you'll know the takeaway is clear: Ultimate Masters is a strong set that offers a profitable return on its investment. It should also be noted that a 24-pack box is easier to flip than a 36-pack, and this is especially the case with so many of these being in high demand. With the preorder hype dying, prices will, of course, start deflating. However, with a 33% return on the box, and the added bonus of a box topper, a full 25% drop across the board would still give Ultimate Masters a strong profit margin. In fact, I fully expect a 25% drop in the coming weeks, as the set is a bit inflated. There will still be enough margin, however, for the set to remain profitable for some time. If you've been hesitant, the math is clear. This set, for all its changes and polarized views, is a solid investment. After pulling all of the prices on Friday to write this, we were met with a sharp decline over the weekend. Although the numbers aren't as flattering now as they were just a couple days ago, the result and final determination, although less intense, remains unchanged. 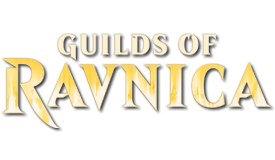 As of Sunday night, the booster box's expected value was $297.87, but the market price for a box has also fallen to $270. We're still well above cost. As I said before, the set was a bit inflated, and this drop was coming. Doing so in the matter of three days is a bit unsettling, but this is because a lot more product was ordered and flipped then people originally expected. For all the naysayers out there, those looking at the raw numbers saw the profit and flipped the product as fast as possible. Going forward, we have a 10% margin. If we fall past this, then the profit margin becomes the box topper itself. Further decline past 10% is when we start getting into unstable territory and you'll be fully reliant on a good box and/or topper. Online markets have been spiking the prices of some older cards with buyouts, so it satisfies me to no end seeing these people lose their investment due to key reprints. Could it be possible to put European numbers as well? Sure does look like Dig, but the question remains, Why the @#$% didnt they use the new awesome art? Another UMA fail.